If you have a garden, and many Bloomington residents do, you go to great lengths to care for it. 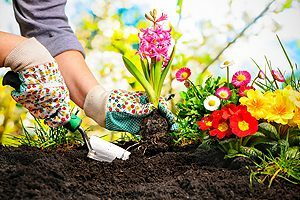 Whether you grow veggies, fruits, flowers or a combination of all three, it’s important that your garden gets adequate amounts of water, particularly in the spring and summer. If you don’t like to spend half your day outside watering your garden with a hose, you need a sprinkler system to ensure it thrives. Garden watering systems take care of all that for you, on a schedule, so you never have to worry about missing a watering. This is especially convenient for those who work a lot or go on frequent trips. 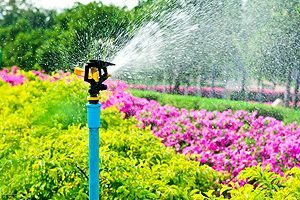 We have 30 years of experience as irrigation industry leaders, so lean on us for the garden watering systems Bloomington IL landscapes need. Even if you don’t have a green thumb, your garden can thrive with the right amount of moisture. For that, turn to Commercial Irrigation & Turf, catering to towns like Bloomington/Normal, Peoria, Pekin, Galesburg and more. Select us for consistent, quality initial installation, resulting in superior garden sprinkler systems available with full warranties to protect your investment. You will be happy to know that every member of our staff receives hands-on training in installation and construction of garden sprinklers. Whenever you need us, whether for winterization services or repair, we are here to help. Commercial Turf & Irrigation is where you should go for garden sprinkler systems in Bloomington IL. Feel free to call us for an estimate and consultation at 309-698-3011 or complete our online form.